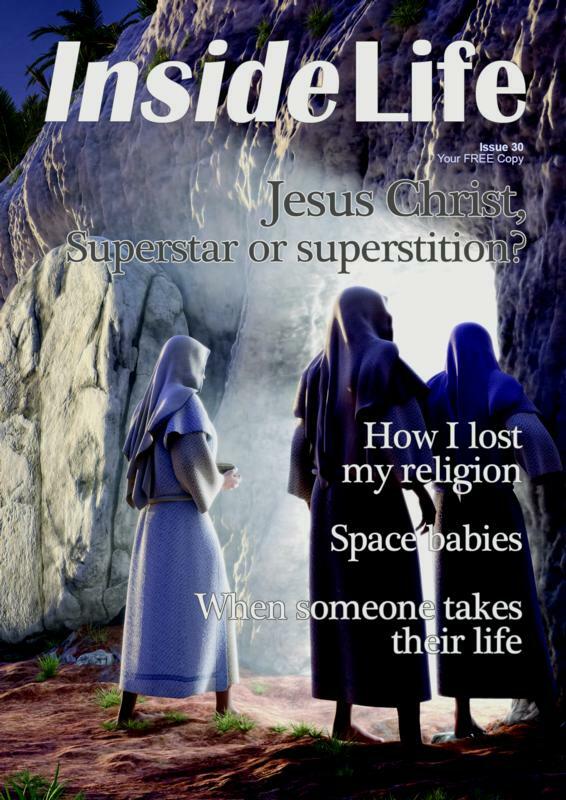 Inside Life is a free magazine seeking insight and answers to life’s deep questions and challenges. We aim to provide articles of lasting hope, help and encouragement for successful living in today’s fast-moving world. Inside Life is a magazine of understanding. Rather than just reporting on life, Inside Life seeks to delve inside the marvellous mystery that is life, to discover what it is all about. What does life mean? Where did it come from? How can we make the most of it? Jesus Christ: Superstar or Superstition? Who was, or is, this famous and influential person called Jesus? Is he the Superstar that the 1970s rock opera named him, is he really the Son of God and Saviour of mankind, or is his existence just superstition? Conversations on a Plane Joseph Tkach gives the account of an interesting conversation he experienced on an international flight. How I Lost my Religion How can it be that people who supposedly follow the same book, the same God and the same values hate each other so intensely? A Bridge Too Far Is there a way of finding out what happens after death? Is there any way of bridging the gap between life and "the other side"? When Someone Takes their Life... Last year in New Zealand over 600 people committed suicide. Is there hope for those suffering from depression and considering ending their life? Space Babies Is occupying another planet the best way to perpetuate human life if we destroy Earth's environment?